This tract shows men what God says about them in his Word and orients them to foundational truths about their identity in Christ—enabling them to be the men God is calling them to be. 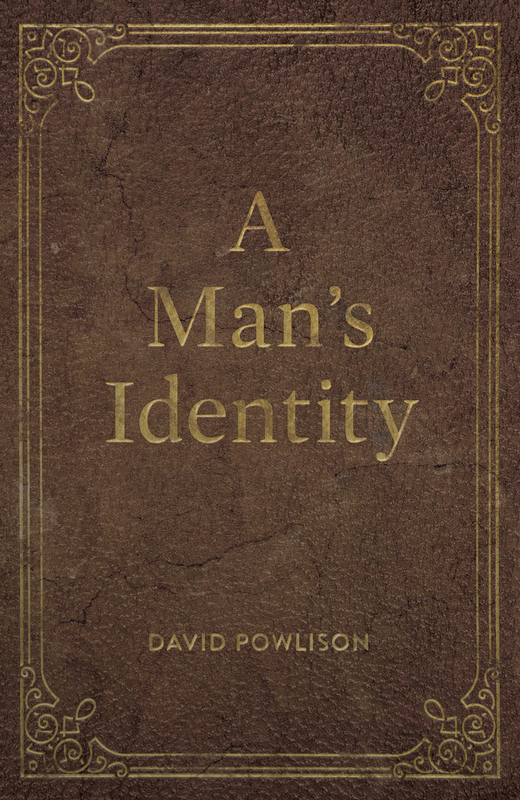 What gives a man his identity? On what foundation are you building your sense of self? Your answer, whether true or false, defines your life. Wrong ways of defining who we are arise naturally in our hearts, and the world around us preaches and models innumerable false identities. What are the ways men get identity wrong? Perhaps you construct a sense of self by the accomplishments listed on your resume. You might identify yourself by your lineage or ethnicity, by your marital status or parental role. Your sense of self might be based on money, on achievements, on the approval of others, on your self-esteem. Perhaps you think that your sins define you: an angry man, an addict, an anxious people-pleaser. Perhaps afflictions define you: disability, cancer, divorce. In each case, your sense of identity comes unglued from the God who actually defines you. Your true identity is who God says you are. You will never discover who you are by looking inside yourself or listening to what others say. The Lord gets the first word because he made you. He gets the daily word because you live before his face. He gets the last word because he will administer your final “comprehensive life review. Your true identity inseparably connects you to God. Everything you ever learn about who God is—his identity—correlates specifically to something about who youare. For example, “your Father knows your need” means you are always a dependent child. “Jesus Christ is your Lord” means you are always a servant. Christ gives a new identity in an act of mercy. Then his Spirit makes it a living reality over a lifetime. When you see him face to face, you will know him as he truly is, and you will fully know who you are (1 Corinthians 13:12). Your new and true identity connects you to God’s other children in a common calling. It is not individualistic. You are one member in the living body of Christ. But that’s not all. There are a few foundational truths that we need to understand in order to root our identity in the right place. Don’t skim through. You will never be gripped by these truths if you treat them merely as an information download. Every core aspect of a man’s identity expresses some form of humility, need, submission, and dependency before the Lord. Our culture and our hearts might claim that masculinity means being independent, self-confident, proud, strong, assertive, decisive, tough-minded, opinionated, and unemotional. But Jesus is the true man,and he is unafraid of weakness, lowliness, and submission. He came as a helpless and endangered child. He became dependent, poor, afflicted, homeless, submitted—an obedient servant entrusted with a job to do. He became a mere man and died in pain—committing his spirit into God’s hands, depending by faith on the power of the Spirit to raise him. God raised him from the dead, you will be saved. For with the heart one believes and is justified, and with the mouth one confesses and is saved.” (Romans 10:9–10) Ask God to help you establish your identity in him today!